Amazing hostel! Clean spacious great restaurant at the front with a 10% discount for people who are staying! Right behind koh san road but no noise no disturbance! Love this place always going to book here in the future. Basically a hotel. If you want a place close to the strip and private. Stay here. No atmosphere but I was looking for some chill nights here. The hostel has a restaurant too, and gives discount to hostel guests. The location is along Rambutri St. and very close to Khao San Road. Despite the busy nightlife outside the hostel, I was able to sleep soundly as the noise from the outside is only minimal. Good location, good stuff and price. A bit noisy and yes there was a rat running in the coridor near the kitchen in full view of those walking to a dorm and sitting in a restaurant.. but overall you can stay here it is ok. I think the dorms show as 10beds although actually they are 12 and 16 beds. 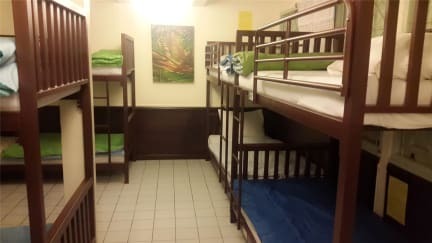 Good for the price, room was small but clean and in good proximity to all all the craziness of koa San road. Green House was a pretty decent place to stay. We were there for 6 nights total and will be staying there again one more night later in the month. My only complaint is that the wifi was crazy slow in the room. It can be quite loud at night due to music, so if you're a light sleeper look elsewhere. The shared bathroom was cleaned multiple times a day which is great. Not really the best place to meet new people as there is no real common space. Staff are busy but fairly helpful and friendly. 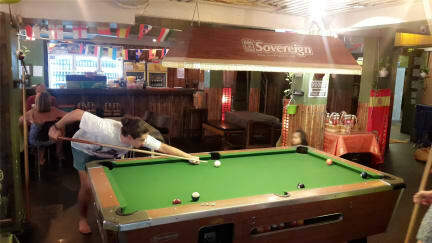 Surprisingly good hostel for the price in Khao San area. Great location & very clean. No real common area but it’s easy to meet people in Bangkok. Only downfall is the wifi in the dorm room. Won’t stay there again bcos of that. I walked into my room to find a huge cockroach on the pillow and had to kill and dispose of it, but to the hostel's credit, the window was open and it was the only cockroach I had seen the whole time. Also, I paid for a private room and the key didn't work so I could never lock my door. The location, atmosphere, and staff were all quite nice. It was super convenient to have the restaurant downstairs and the food was great!